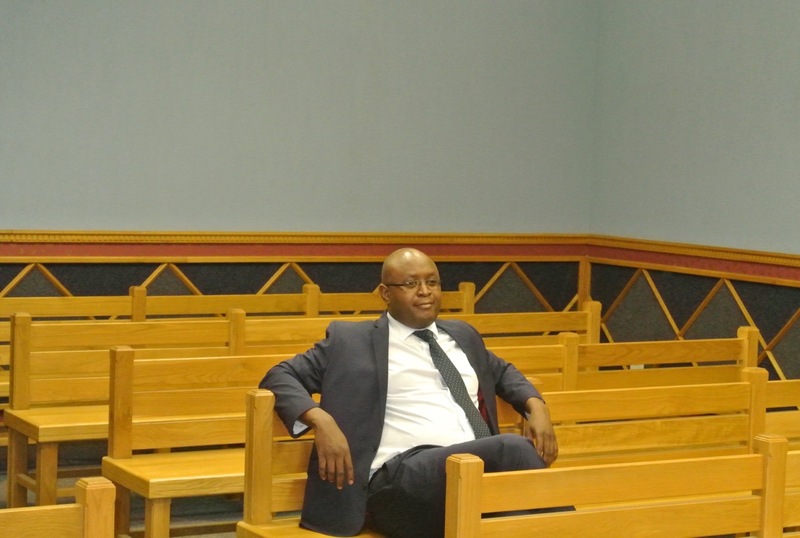 Colgar Sikopo is head of the Directorate of Parks and Wildlife Management within Namibia’s Ministry of Environment and Tourism (MET). Back in the 1990s he worked as a ranger at an anti-poaching unit in a national park in the north of Namibia. In those days Namibia was widely considered a success story in wildlife conservation, with the populations of elephants and rhinos rising and poaching a minimal problem. The situation has changed since then, and Sikopo’s previous work could not have prepared him for the hands-on anti-poaching experience he has needed since 2011. In the past four years, according to the MET, more than 230 elephants and 100 rhinos (most of them black rhinos) have been poached. In the first three quarters of this year alone, at least 74 rhinos and 32 elephants died at the hands of poachers. Considering that there are only about 4,880 black rhinos left in the world, the number of deaths has significant impacts for the survival of the whole population. On the other side of the cross-border illegal trade, research has indicated that Asia – especially China – is the final market, and the growing appetite for ivory and rhino horn is pushing the two species to the brink of extinction. China’s government has declared its intention to combat wildlife crime. Measures have included participating in global anti-trafficking collaborations such as Operation Cobra, and the recent announcement that China would ban the import and export of ivory soon in an attempt to end elephant poaching in Africa. 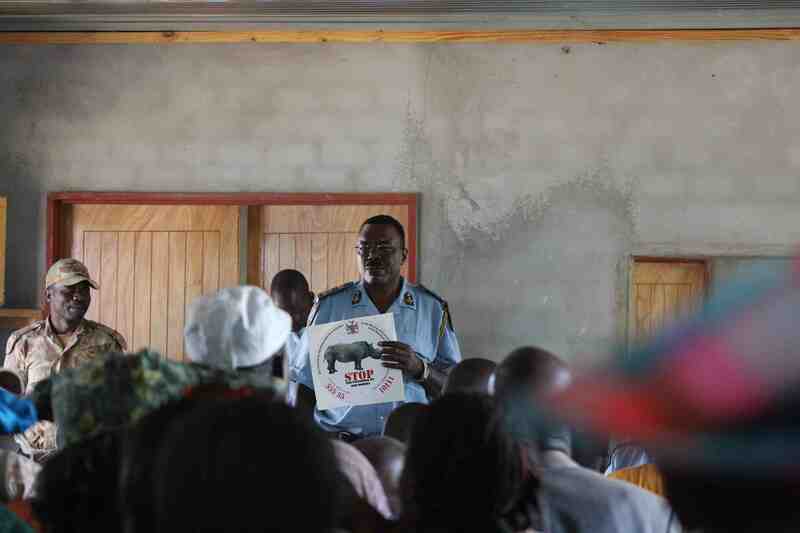 Sikopo recently talked to Oxpeckers about the necessity for cooperation between the two counties to combat wildlife crime. Oxpeckers: What is the roadmap of the illegal ivory and rhino horn trade in Namibia? Sikopo: This year we’ve already arrested 44 people for rhino poaching and 17 people for elephant poaching. These are organised syndicates and some of them are foreign nationals. If you look at the links, for example, in elephant poaching, the hunters are mainly locals who are employed by the middle men, including Namibians, Zambians and Angolans, but when you get further down the line you find they are linked to people from Asia. That’s the link we have established so far. Oxpeckers: Namibian police have arrested some Chinese people involved in illegal trading in the past few years. When I talked to police, some of them found it’s hard to investigate Chinese suspects because they don’t speak Chinese nor understand the culture. Have you cooperated with Chinese authorities on anti-poaching? Sikopo: It’s important to mention that China and Namibia have good bilateral relations. Thus our two countries have worked quite a lot together. In general, we have the framework to cooperate on many things, but we haven’t seen many activities on anti-poaching. We need to make it more active. We are intent on opening that engagement for the governments to start to collaborating more on environmental issues, to see how we can solve this problem. Oxpeckers: What’s the trend of poaching in recent years? Sikopo: After independence in 1990, the Namibian government immediately started to work on the conservation policy in the country. One area we focused on is how people could live with wildlife and benefit from wildlife. Therefore in 1996 we amended policy to allow people to establish communal conservancies. There is a lot of wildlife not just in national parks, but also outside the national parks. For instance, in the northwest part of the country we have free-ranging black rhinos, which are the most endangered in the world. These areas outside of national parks is also land for communities. Because of the national parks and the protected communal areas established in Namibia, we did not have poaching for a long period of time. Well, there were a few incidents, but not organised crimes. There was no poaching for the sake of making millions of dollars that people want to make now. There was just some poaching of antelopes for the meat. Four years ago, we saw a turning point. The commercial poaching started with elephants in the northeast region called Zambezi. There was only one elephant shot in 2011, but in 2012 it jumped to 78. After that the situation started to move slowly from northeast to northwest, and then the poachers started to target rhinos. Oxpeckers: What has the government done so far to combat poaching? Sikopo: Every single carcass that we have found has been followed up with investigations. Poachers are clever and they find a way to hide the evidence. As government, we are very confident that we uncover everything, even it takes a long time. For example, there are some cases we have investigated because we’ve seen unemployed people become rich from nowhere. We follow up these clues. On the other hand, Namibia is trying to protect the wildlife. For rhinos, for instance, we allocate more people to go on patrol on the ground. We dehorn the rhinos to prevent them being poached. We put GPS devices on some of them. We translocate some, and we keep information about their destination confidential. I can’t say that these measures are working 100%, but they are helping. We do have one rhino which was dehorned and still poached this year. Oxpeckers: How do poaching and illegal trade affect the locals? Sikopo: There is a huge impact. Number 1: In the conservancies we provide some wild animals, including elephants and rhinos, for trophy hunting. We also allow locals to shoot some animals for meat. But poachers shoot the animals that are also good for trophy hunting, thus the communities have trouble finding these quality animals for trophy hunting. This is one direct impact we have seen. Number 2: Tourism is a fast-growing sector in Namibia. If these animals are shot and the populations decline, tourists will definitely not come back again. Number 3: These animals are the heritage of our country. At this moment we are proud to say that we have the highest population of black rhinos in the world, but if they are being killed at the rate of 2014 (78 poached in one year) and it continues, in a few years we may no longer be able to say that we have highest population of them. We believe in sustainable use of wildlife, thus we condemn the poaching and illegal hunting. We warn them to stop. Oxpeckers: Namibia supports the legal ivory trade. Although many countries destroy tusks when when they seize them, Namibia says no to destroying its stockpiles of ivory and rhino horns. China imported tons of legal ivory in 2008 and some tusks were from Namibia. What do you say about the legal trade? Sikopo: We discuss the issue at a high level quite a lot. We do not want to comment at this moment. As I said, we believe in the sustainable use of wildlife. If the communities living with the wildlife do not see any benefits from the wildlife, you won’t see too many of them getting involved. 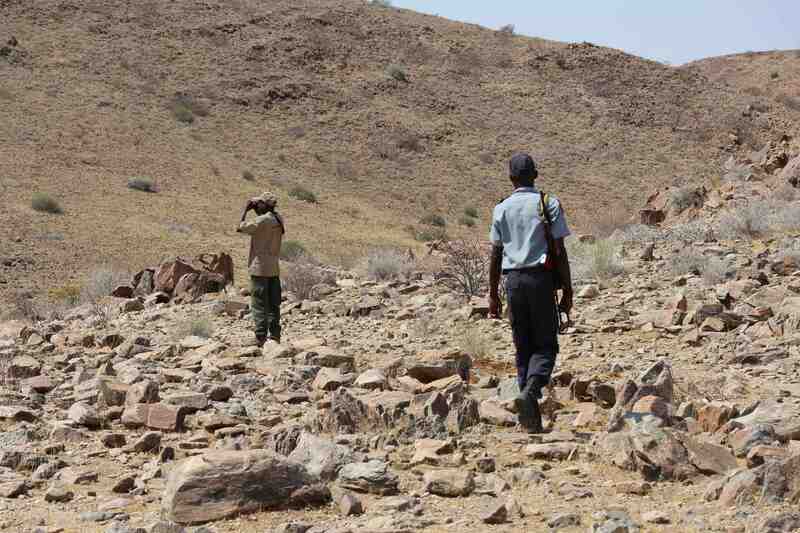 We also have human-wildlife conflict situations in Namibia. Shi Yi is a Chinese journalist who worked with Oxpeckers Investigative Environmental Journalism on a three-month environmental journalism fellowship investigating wildlife poaching in Namibia. Her series of articles on transnational wildlife crimes were supported by the Wits China-Africa Reporting Project.